The 35th Infantry Regiment Association salutes our fallen brother, PFC Lucio Rodriguez Aguilar, RA18322602, who died in the service of his country on November 28th, 1950 in North Korea. The cause of death was listed as MIA to Declared Dead. 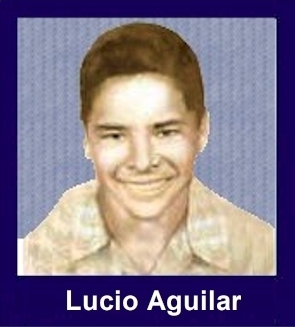 At the time of his death Lucio was 21 years of age. He was from Cameron County, Texas. Lucio's Military Occupation Specialty was 4812-Heavy Weapons Infantryman. The decorations earned by PFC Lucio Rodriguez Aguilar include: the Combat Infantryman Badge, the Bronze Star, the Purple Heart, the National Defense Service Medal, the Korean Service Medal, the United Nations Korea Service Medal, and the Republic of Korea War Service Medal. Corporal Aguilar was a member of Company M, 3rd Battalion, 35th Infantry Regiment, 25th Infantry Division. He was listed as Missing in Action while fighting the enemy in North Korea on November 28, 1950. He was presumed dead on December 31, 1953. His name is inscribed on the Courts of the Missing at the Honolulu Memorial. For his leadership and valor, Corporal Aguilar was awarded the Bronze Star, the Purple Heart, the Combat Infantryman's Badge, the Korean Service Medal, the United Nations Service Medal, the National Defense Service Medal, the Korean Presidential Unit Citation and the Republic of Korea War Service Medal. After 63 years of being declared an MIA, the remains of U.S. Army Corporal Lucio Aguilar will return to South Texas for proper burial. Lucio was declared MIA on 28 Nov. 1950 after his army unit had engaged Chinese army forces north of the Ch'ongch'on River, during the Korean War. Lucio, who was affectionately called "Bebe" by loved ones and friends, was born on 26 Dec. 1930 in Brownsville, Texas, to Antonia Rodriguez and Lucio Aguilar. He grew up in Brownsville and was a very loving and kind son, brother and friend. A hard working young man who was always eager to work, whether as a shoe shiner, golf caddy or other jobs in order to help his family during the tough economic times of that era. He especially loved spending time with his Mother, sharing sweetbread and coffee with her after coming home from school. Lucio was a man who had faith in God and was a member of El Buen Pastor Methodist Church in Brownsville. Family members of Lucio who have passed are his mother Antonia Chavez and his step-father Luis Chavez. He is survived by his sisters Consuelo A. Vega, Linda Chavez Rodriguez and brothers Ernesto Aguilar and Ernesto Galvan. He is also survived by numerous nieces and nephews who never had the privilege to meet him. In 1953, Lucio was declared as presumed dead by the Army, but his mother, until her passing, never gave up hope and constantly prayed that her beloved son would someday return home. Thanks to the diligent efforts by the Dept. Of Defense, his remains will return to U.S. soil, where he will be laid to rest among other deceased brave men and women who served our country in the Armed Forces. A service in his honor will be held at 9:30 a.m. at Guardian Funeral Home on 13 June 2014 and will be officiated by Rev. Isidro Pina of Kelsey Memorial United Methodist Church, followed by a burial ceremony at Coastal State Veterans Cemetery in Corpus Christi, Texas with full military honors.